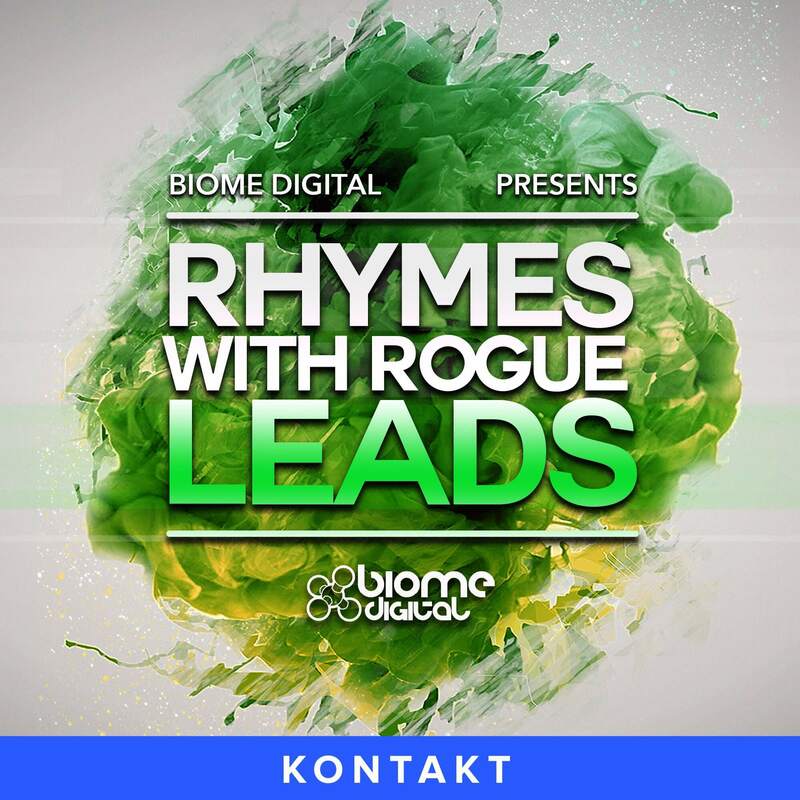 This demo pack includes a selection of free Kontakt Samples from Rhymes With Rogue – Leads (Kontakt) by Biome Digital. Try it out and experience the quality of this new series yourself! What rhymes with rogue? Moog, of course! Featuring 2730 Moog hardware synth multi-samples (over 3500 including Bonus Content), meticulously designed, recorded, edited and turned into highly playable, expressive instruments for today’s most popular samplers. Many of these instruments feature complex modulations routing using LFO’s and Envelopes and also have Velocity, Mod Wheel and Aftertouch mapped for expressive playing. Rhymes with Rogue – Leads is available in 4 different formats including Reason Refill, Ableton Live, Native Instruments Kontakt and Beat Magazines Zampler (Soundfonts). • 78 Samples per patch (notes G-1 to C6 – every note sampled over 7 octaves). • 120 Highly playable, editable and expressive Kontakt Instruments. • Custom GUI & scripting providing control over Amp Envelope Attack & Release, Filter Cutoff Frequency, Resonance and Filter Envelope Amount. Effects Amount (controlling Reverb/Delay). • Extensive modulation routings with Mod Wheel, Velocity and Aftertouch modulations assigned. • Standard Kontakt effects used including Reverb, Delay, Chorus, Flanger, Tape Saturator, Distortion, Bitcrusher and more. • 624 Raw oscillator multi-samples of 8 waveforms including: Sine, Triangle, Triangle-Saw, Saw, Saw-Square, Square, Square-Pulse, Pulse. • 8 Raw oscillator Kontakt Instruments. • 8 SFX Kontakt Instruments. • 1 SFX multi Kontakt Instruments. • 35 Analogue Drums ‘One Shots’ in WAV & AIFF. • 25 Analogue Drum Loops in WAV & AIFF recorded at 3 tempos (123 bpm, 128 bpm & 132 bpm). • 25 REX2 analogue Drum Loops. • 1 Kontakt instrument with all One Shots grouped and mapped by type. Please Note: Full version of Native Instruments Kontakt 5 or above required (not included). Due to the number of samples used Instrument load times may be long on old machines. Included File Types: .nki, .rx2, .wav, .aiff.